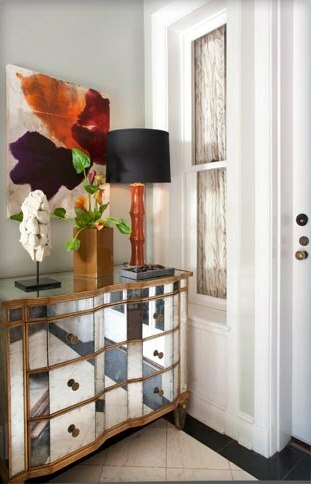 This collaborative redesign was part of a show home charity benefit, with proceeds from ticket sales going to the Children’s Hospital. 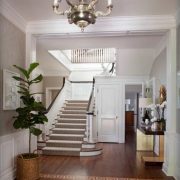 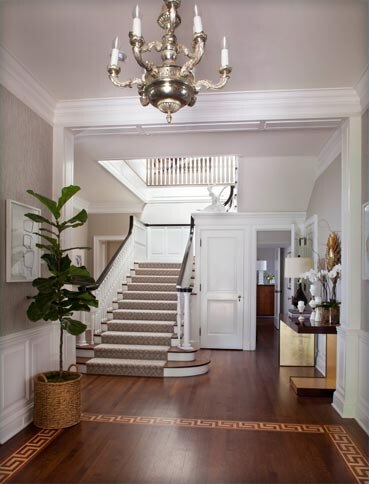 K&Z was chosen to tackle the central thoroughfares of the home, including the front entryway, the main staircase and upstairs landing. 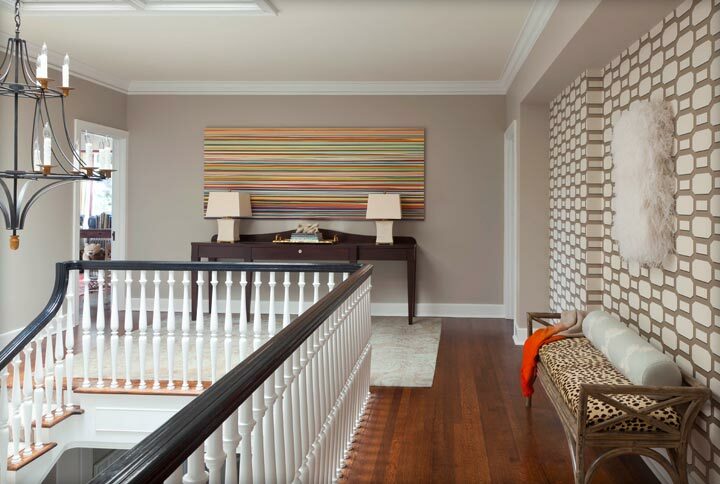 Our design goal was to create an interesting and inviting space that drew people into the home, while still complimenting the other designer’s spaces and keeping in line with the provided color palette. 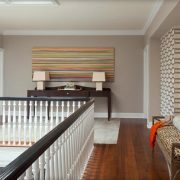 To create the look we wanted, we used a mix of textures that complemented the home’s more traditional architecture in a modern way. 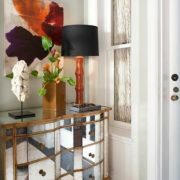 We achieved this through the use of juxtaposing wallpapers and textured grasscloth, paired with a more geometric pattern. 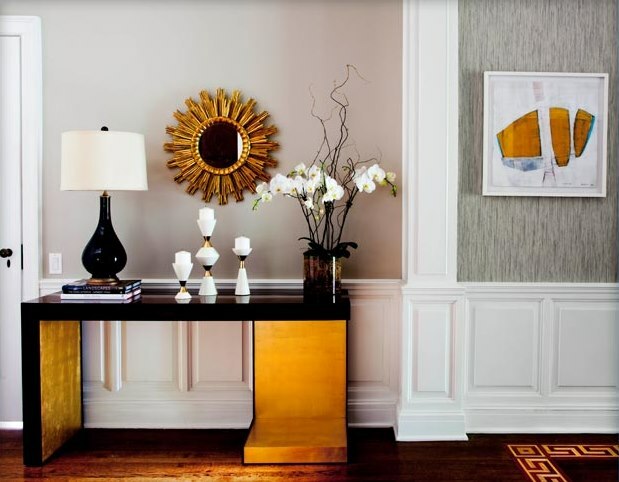 To complete the final look, we incorporated unique artworks and consoles that complimented the color palette and served as functional focal points throughout the home.